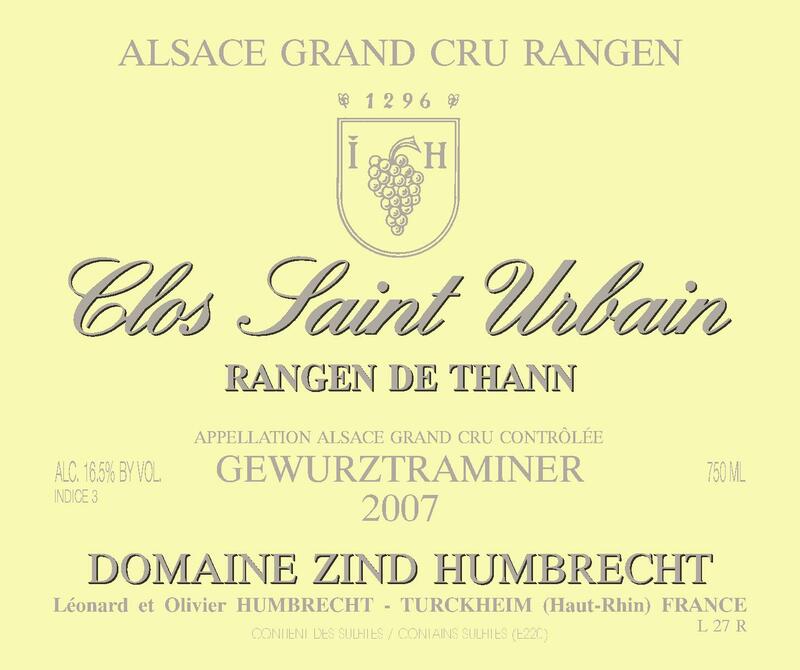 When first cultivating the Rangen in Thann, we almost doubted that this grape variety would be able to ripen in this extremely late ripening vineyard. The steep slope and southern exposure is misleading because it is in fact our coolest vineyard with the Clos Windsbuhl. Budbreak and flowering are always 2 weeks later than most of our other vineyards. Certainly the higher altitude (350m to 450m) and proximity of the mountains bring cooler air during spring, but then the sun driven topography and dark warm volcanic rock act like a turbo in autumn. Like a racing car, this vineyard keeps a low profile during summer and just days before the harvest, it overtakes everyone else. The botrytis adds an extra dimension, especially for the gewurztraminer which is located right above the river the runs on the bottom of the vineyard. In 2007, the botrytis was not as dramatic as in 2006, but enough intense to turn out a powerful wine. Not so sweet, because Rangen wines tend to ferment vigorously. 2/2009: this is another example of a great gewurztraminer that actually doesn’t taste like one. The vineyard influence is so powerful that it crushes the grape variety classic markers. The nose shows lots of smoke, flint and spices. Almost austere at this early stage. The palate cannot be mistaken with another grape: the power, richness and density are typical of gewurztraminer (and would clash if blended with a Riesling or Pinot Gris!) but again, the vineyard dominates the aromatics. It also shows great bitterness (good tannins are normal and necessary also in white wines) and strong saline feel on the finish. It feels quite dry, because this wine also has the highest acidity of all gewurztraminers in 2007, bringing fantastic balance. Please wait for this wine!